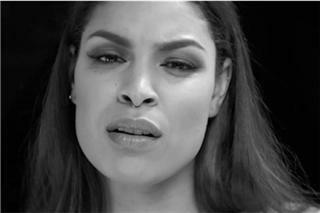 Jordin Brianna Sparks (born December 22, 1989)is an American singer, songwriter and actress. In 2007, she rose to fame after winning the sixth season of American Idol; at age 17, she became the youngest winner in the series' history. Her self-titled debut album was released later that year; it was certified platinum by the Recording Industry Association of America (RIAA) and has sold over two million copies worldwide. The album spawned US Billboard Hot 100 top-ten singles "Tattoo" and "No Air"; the latter is currently the third-highest-selling single by any American Idol contestant, selling over three million digital copies in the US. The song earned Sparks her first Grammy Award nomination for Best Pop Collaboration with Vocals.